The O2/CO2 gas analyser Oxybaby from Witt-Gasetechnik is a mobile measuring device for checking modified atmosphere packaging ­in the pharmaceutical and cosmetics industries. Thanks to its minimal gas sample requirement, the analyser is ideally suitable for small packaging, for instance the vials or blister packs typically used for medicines. It takes just six seconds for the Oxybaby 6.0 to reliably determine the oxygen content in packaging. The O2 value is displayed in 0.01% increments. The device only needs 2ml of test gas to ascertain the residual oxygen content. This makes it the first choice for quality inspectors when it comes to determining the gas concentration in vials and blister packs. Such typically small packaging usually has only very limited free space, and only a small volume of gas. As well as oxygen content, the system can optionally ascertain the CO2 concentration and calculate the nitrogen content. The measurements are conducted randomly. To this end, the inspector pierces the packaging with the Oxybaby needle and takes a sample at the press of a button. The results can be assigned to different product lines, products and users. The memory can hold up to several hundred entries. Data exports are possible at any time ­ an important function for complete documentation and certification. Witt naturally provides appropriate analysis software for this. The durable oxygen sensor makes the device especially economical. 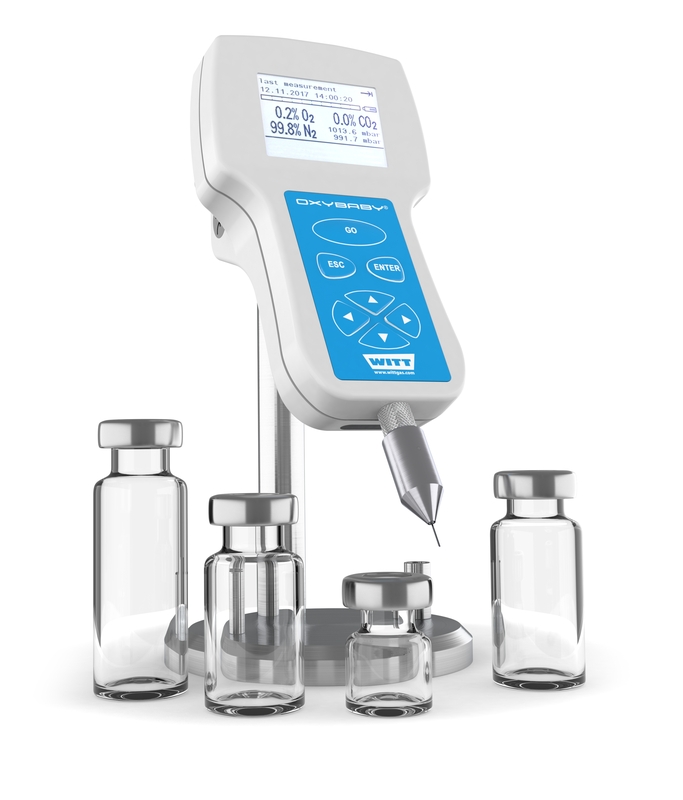 Another major advantage that is popular with users: The pump responds automatically to any blockages in the needle or filter and adjusts the output so that a correct measurement is ensured despite this. A warning message indicates serious blockages to the user. Further options include integrating a barcode reader for even faster operation or driving a printer via Bluetooth.